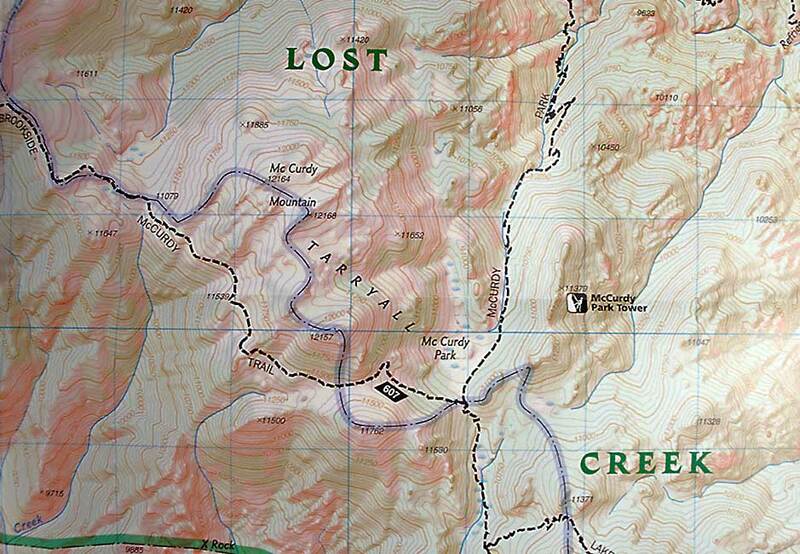 Map covers the Lost Creek wilderness, including the Kenosha Pass and Tarryall Mountains in a topographical map format. 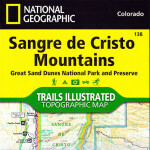 Includes wilderness trail information and is printed on tear resistant, water proof plastic. National Geographics Trails Illustrated Tarryall Mts. Kenosha Pass, #105. The Trails Illustrated Tarryall Mts. 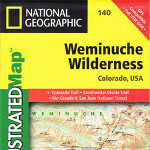 Kenosha Pass map (#105) is a topographic trail map of the Lost Creek wilderness area of Colorado. Designed with the outdoors in mind this map is printed in color on durable tear-resistant plastic. It is everything you need to navigate the trails of the Lost Creek area. Covers nearly entire Lost Creek wilderness area of Colorado. 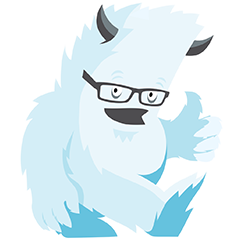 Includes coverage of portion of the Pikes Peak National Forest in central Colorado. 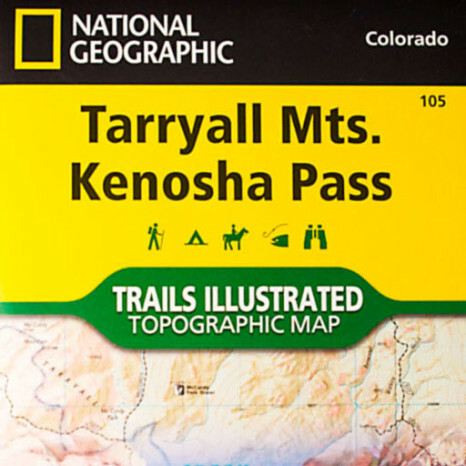 Includes coverage of popular hiking areas: Lost Creek loop hike, Kenosha Pass, Tarryall Mountains, Kenosha Mountains, Bison Mountain, McCurdy Mountain, Kenosha Peak. Includes coverage of the following trails: a portion of the Colorado Trail, McCurdy Trail, McCurdy Park Trail, Goose Creek Trail, McCurdy Brookside Trail, Lake Park Trail, Payne Creek Trail, Wigwam Trail, Ute Creek Trail, Rolling Creek Trail, Ben Tyler Gulch, and more. A sample portion of the Tarryall Mts. Kenosha Pass Trails Illustrated Map #105 is provided below.